Before we get started I want to let you know about by free Budgeting for Beginners Starter Kit. 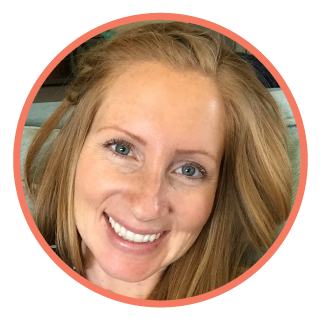 In all of my previous budget updates, I shared with you the exact numbers of our family finances Google spreadsheet. This system is what we started using several years ago that helped us get out of $20,000 in debt! You can get the same budgeting starter kit for FREE! It includes not only the Google Sheets template but there is also a printable version so you can use pen and paper if that is your thing! I’ll leave a link in the description box if you want to grab your free download. What Do You Want In These Family Budget Updates? I have a question for all our Pearls out there. What information would be most helpful in these budget updates. In the beginning videos I felt like it was useful to share all our exact numbers. We were a one income family, paying off debt, and living in one of the most expensive cities in the US. Now that we are no longer a one income family, is it still useful to see the numbers broken down? Will you let me know what your honest opinion is? We have some pretty hefty goals that we plan to start attacking in the new year. I’m thinking those numbers will be useful for others to see. But I’m not sure. I want to hear from you! Even though incomes vary, family circumstances are different, I hope that when we vulnerably share our real life numbers with you, our Pearl family, you can take it all relative. Focus on the strategy behind our decisions for our family finances. Take away something that you can try and adjust to help rescue your family finances! So let me know what would be most helpful to share with you in these budget updates. So with that,let me tell you what we learned over the past little bit. We learned that the temptation to spend will always be there! Especially when you are trying to build up rewards with a credit card! Yikes! There really is something so powerful about using cash. So I’m contemplating getting rid of our reward credit cards. Yes earning those rewards is super nice! In fact, I recently signed up for a rewards business card and I quickly earned my 20,000 skymiles bonus as an enrollment incentive. Hubby and I are even planning on using that towards a couples trip sometime in 2019! So fun, right? Also, with our Costco rewards Citi card we are going to be getting back over $500 cash next year. Super awesome!! Right? Even with all that excitement… I am still tossing around the idea of stopping it all. Though we have the income to fund our spending, swiping that card is just too easy! We are finding that too quickly we are not spending our money intentionally based off our goals. I don’t think we are responsible enough quiet yet. Or maybe the problem is we don’t have a good system in place just yet to be sure that we don’t overspend past what we have budgeted. It can be complicated making sure that you stick with a budget when you’re using a rewards credit card. Even if you do pay it off every month. That is why I love cash so much! It is such a powerful visual reminder of how much money you have left for each category of spending. I have an entire video on starting a cash envelope system and another entire video dedicated to a breakdown of what the numbers look like inside our cash budget. I’ll leave the links for those down below as well. So in our next budget date this will be a main topic of discussion for hubby and I. We need to either figure out a better system for tracking our digital spending in conjunction with our budget. Or get rid of the credit cards all together. Stay tuned to find out what we decide! It was a nice break from being uber strict about our spending over the last few months, but we have some major goals to start working on ASAP! Maybe what I should do is dedicate an entire post to our 2019 goals. It’s time for hubby and I to sit down with our Financial Unity Workbook to re-evaluate and re-prioritize our life goals. From there, we can figure out what we are going to tell our money what to do. Giving every last dollar an assignment. But as an overview here are a few things we have been talking about. Most definitely we want to pay our house off in the next 15 years. We want to save $100,000 to pay cash for remodeling our house and adding on to our kitchen! We also need to finish funding a 3-6 months emergency fund. AND… we want to start traveling on a more consistent basis. Just hubby and also more with the kids now that they are getting a bit older and don’t cry for 8 hours straight in a car. Those are some pretty lofty goals, don’t ya think? Paying off our house in half the time and at the same time cash flowing a $100,000 house remodel! Crazy! But I believe with my entire heart that we can make it happen. We can break down the goals in another post, but for now what you need to know is that it won’t be easy! Just like figuring out how to quit my job to be a stay at home mom wasn’t easy. Just like getting out of debt wasn’t easy! Or how waiting 11 years to buy our first house wasn’t easy! None of those things can even be in the same room as the word “easy!” But we did it! Our new goals are shooting for the stars. It’s going to take a lot more than some coupon clipping to make it happen. I’m crazy excited to share more detail on our plans with you. But this is not the time. There is however, something I do want to share right now. How do you make some major dreams like this actually happen? We like to work it out backwards. Step 2: Prioritize those goals. Step 3: Create a financial action plan for each goal. Step 4: Look at the numbers in your current budget? How can you work your financial action plan into your budget? Step 5: If there isn’t room in the budget, make plans and start changing your life to clear the way in your budget for those dreams! You can do it! If you’re tired of living the paycheck-to-paycheck life, what are you going to do about it? Right now, choose one bad habit you are going to start working on! If you’re really brave, share it down in the comments and we can all cheer each other on! Thanks so much for stopping in! I hope you found information in this budget update useful. Don’t forget to leave requests in the comments for what info you want to see in future budget updates. We aren’t shy around here. So seriously let me know what would be helpful to see! 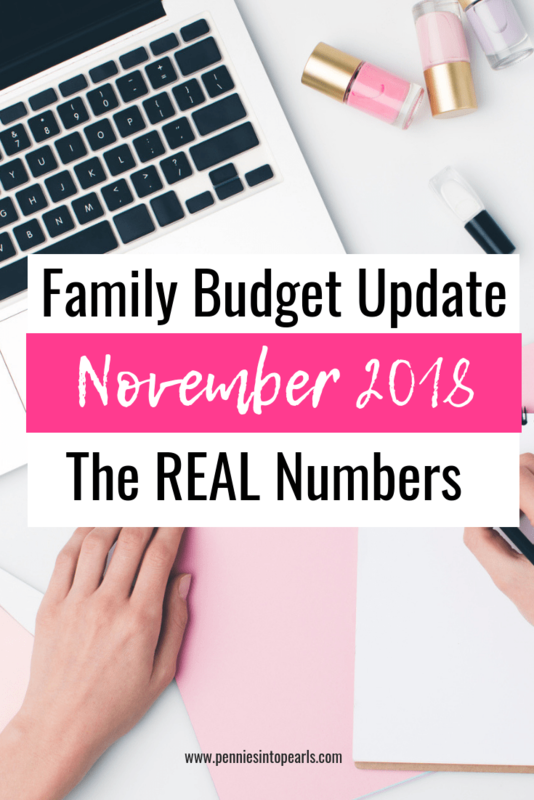 January 2018 Family Budget Update – Big Changes Coming!